We will attend Jazzahead in Bremen 2018. Meet our artist Miriam Aïda and Fredrik Kronkvist at the Swedish area and the booths from Export Music Sweden, The Swedish Jazz federation and Musik i Syd. The award winning alto saxophonist Fredrik Kronkvist presents a diverse mix of Afro-Cuban rhythms and Coltrane-influenced jazz, inspired by Dizzy Gillespie’s idea of uniting people, music and rhythms. From legendary songs like A Night in Tunisia, Afro Blue and Manteca in eventful new arrangements to exciting original compositions with adventurous approaches to timeless jazz and latin tunes. MIRIAM AÏDA – vocals on Afro Blue, Naima, Yemaya & Eternal Light. MARTIN SJÖSTEDT – piano, rhodes, vocals. JOHNNY ÅMAN – bass, vocals. vocals, lead vocals on Tierra Africana part I & II. 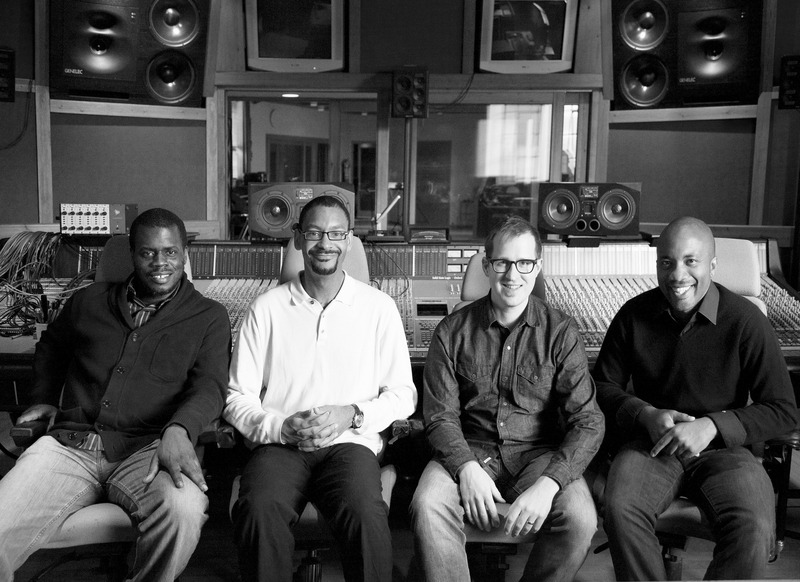 JASON MARSALIS – drums, vibes, marimba, vocals. Miriam Aïda is releasing her new album ”Quatro Janelas” in December and the album contains mostly original music, with lyrics by 4 brazilian lyricists: Etel Frota, Adriana Sydor, Alexandre Lemos and Thiagu Gentil. The music of Miriam Aïda and her band, Mats Andersson on 7 string acoustic guitar, Ola Bothzén and Finn Björnulfson on percussion, is a lovely mix of samba from Rio, afro-Brazilian rhythms from candomblé and capoeira with influences of reggae, jazz and soul, and along with their own Swedish musical background, they create a unique vibe with a strong identity and sound. Except the original songs, the album also includes versions of Bob Marley’s Stiff Necked Fools, David Bowie’s Starman and Baden Powell’s Consolacão – all with portuguese lyrics. Alto saxophone star and Swedish Grammy-nominee Fredrik Kronkvist continues his musical journey with a fantastic new international group with Martin Sjöstedt, Ameen Saleem and Gregory Hutchinson. Urban swing, dramatic ballads, Coltrane-influenced jazz, rhythms and harmonies from around the world provide an exciting and soulful –experience with improvised music created in the heat of the moment. Fredrik Kronkvist MONK VIBES feat. 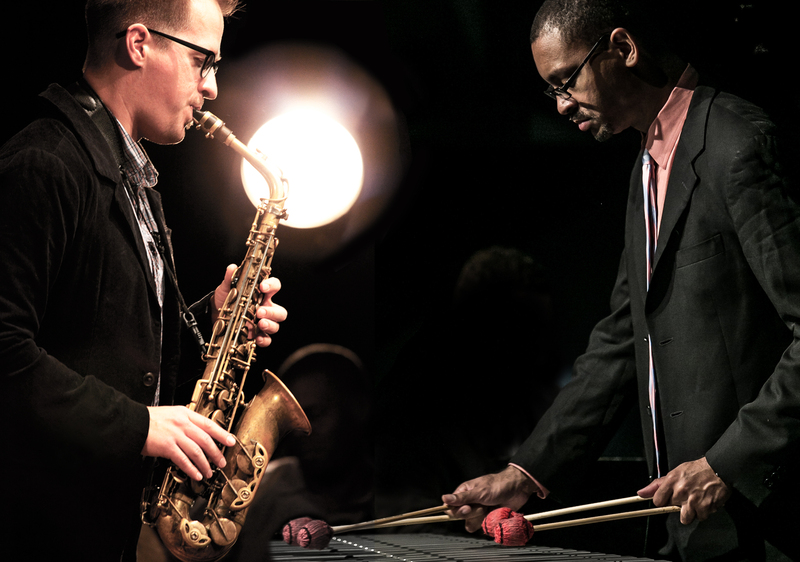 Jason Marsalis, Reuben Rogers & Gregory Hutchinson. 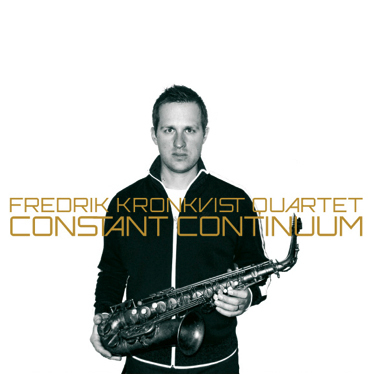 Alto saxophonist Fredrik Kronkvist releases album with Thelonious Monk’s music along with three American superstars. 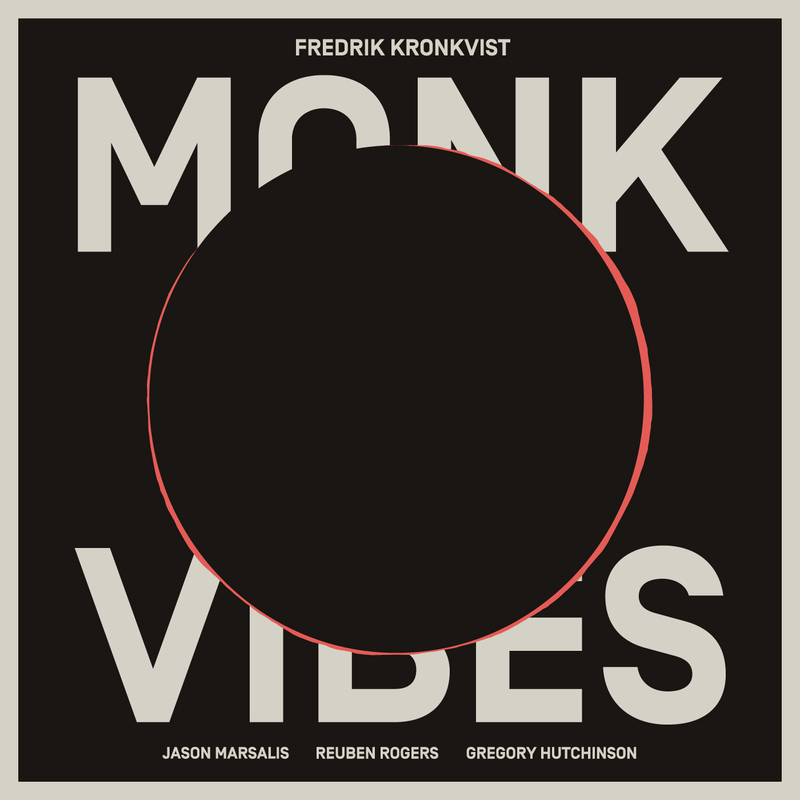 When Kronkvist releases his new album MONK VIBES he continues cooperate with some of the hottest names on the jazz scene with Jason Marsalis on vibraphone, Reuben Rogers on bass and Gregory Hutchinson on drums. This time they dedicate themselves to interpret the genius composer Thelonious Monk’s music and spirit. The unusual constellation with alto saxophone, vibraphone, bass and drums create a different, challenging sound without the piano and gives the group wide open spaces for colorful improvisations. MONK VIBES reflects Thelonious multidimensional universe where simplicity and complexity come together in a beautiful, danceable and contrasting music.The album contains wild conversations, humor, calypso beat, odd time signatures, blues, beautiful ballads and a tonal language that sounds as skewed as obvious. Following the success of the album New York Elements with this international supergroup comes the follow up with exuberant joy and interactions in the seven original compositions and a new arrangement of a timeless classic. 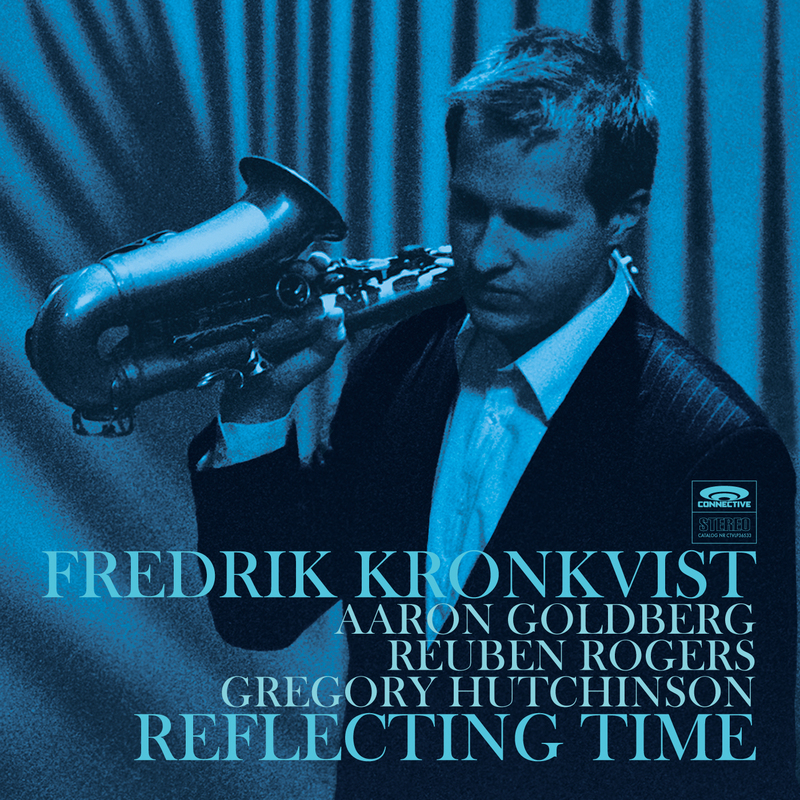 Fredrik Kronkvist delivers this lively, communicative, urban jazz mixed with blues saturated Nordic sounds in cooperation with some of the world’s most sought after jazz musicians from the New York scene. The last album New York Elements entered the list Album of the Year 2012 in the prestigious Downbeat Magazine and received top reviews in for example Jazz Times & Jazz Special. The first record was recorded in New York and this album was recorded in Copenhagen after a tour in Sweden and Denmark. Fully charged with energy from the audience at Fasching in Stockholm, Palladium in Malmö, Montmartre in Copenhagen and other places, the band went into the studio and recorded in one day the new album Reflecting Time. MIRIAM AÏDA AFROSAMBA ORCHESTRA – È DE LEI! 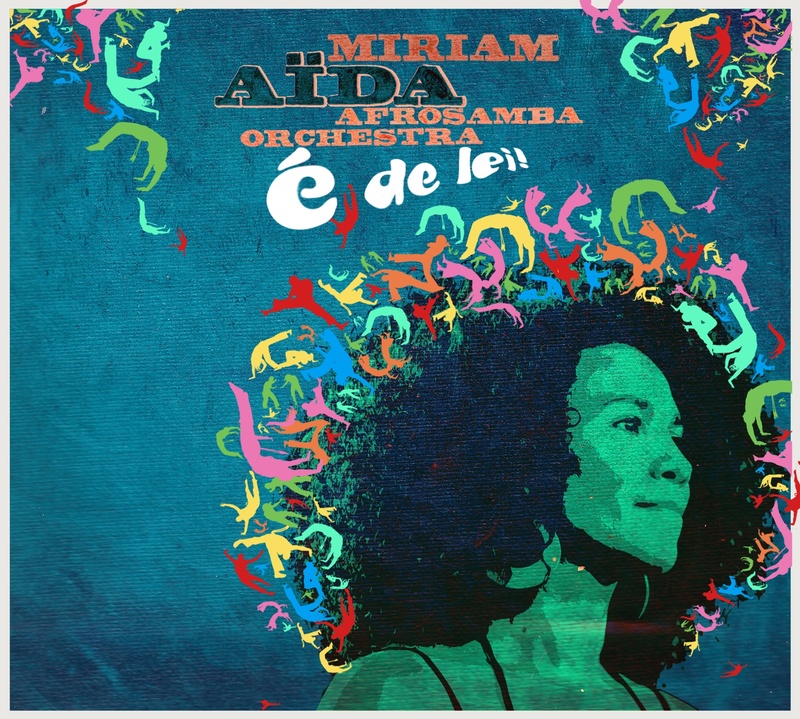 Miriam Aïda Afro Samba Orchestra ́s new album “É de Lei!” contains intimacy, melancholy, boiling energy, happiness, mystery and a journey deep into the heart of the afro-brazilian music. On this album Miriam Aïda is joined by the Vindla string quartet, two woodwinds, 7-string acoustic guitar and two percussionists to play the music of brazilian legend and founder of Afro Samba, Baden Powell (1937-2000). Through an international collaboration with the brazilian arranger Jayme Vignoli, the arrangements have been tailor-made for this ensemble. Jayme Vignoli is one of the most sought-after arrangers in his native Rio De Janeiro and on ”É de Lei!” you hear his masterful writing which are complex, multi-dimensional, colorful and expressive. Jayme Vignoli is not only a briliant arranger but also a great musician and he plays cavaquinho on 3 tracks. The album features one of Rios greatest singers , Marcos Sacramento, who joins Miriam in a beautiful duet on ”Samba em Prelúdio”, recorded in Santa Teresa, Rio. 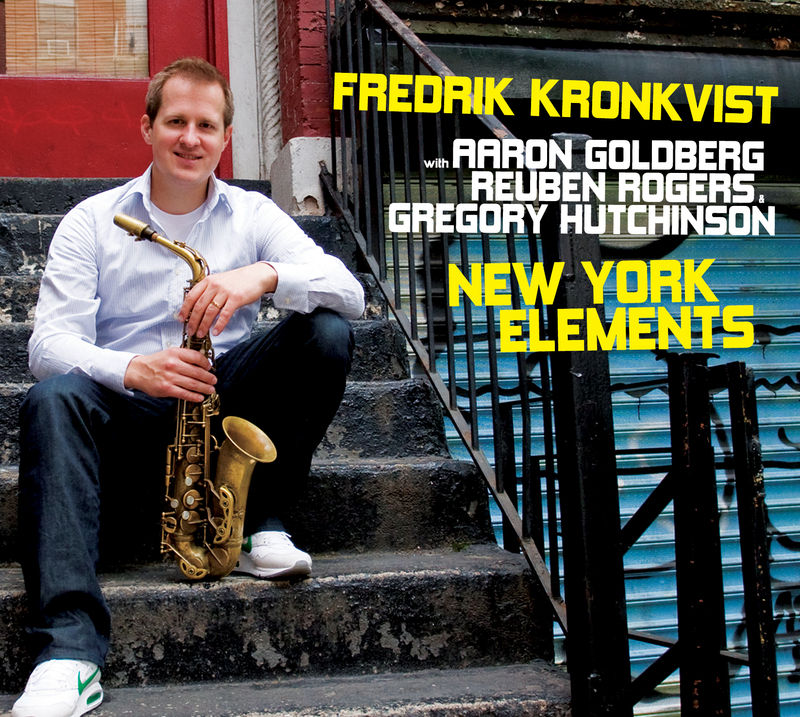 New York Elements – vibrant jazz recorded in New York by the swedish saxophonist and composer Fredrik Kronkvist with some of todays most interesting musicians. Kronkvist’s original music is inspired by the urban, artistic melting pot found in New York and the recording reflects the intensity and diversity of the city that never sleeps. Jazz with high-level communication, with elements of Afro-Cuban, funk, soul, ballads, Brasilian and Scandinavian with grooves that attract the atoms in the body to swing. The playfulness in the collective improvisations creates music with action and interaction. Fredrik Kronkvist is one of Sweden’s greatest jazz musicians with eleven albums released as artistic band leader. Kronkvists saxophone playing and his compositions have received great international attention and he has done concerts at major international jazz festivals, most recently as specially invited to the Oslo Jazz Festival’s 25th anniversary. Fredrik has worked in many different international configurations with musicians from the United States, Chile, Spain, Germany, Norway, Denmark, Brazil and Others and with names like Jason Marsalis, Antonio Sanchez and Marcus Strickland to name a few. Pianist Aaron Goldberg, bassist Reuben Rogers and drummer Gregory Hutchinson are some of the world’s finest jazz musicians. Together they are a unique and sought-after rhythm section that played with many of the greatest legends in the world of jazz such as Joe Henderson, Betty Carter, Charles Lloyd and Freddie Hubbard. Also constantly in interaction with the most prominent stars of today’s jazz scene, such as Joshua Redman, Miguel Zenon, Mark Turner and Kurt Rosenwinkel. Date of Release: April 4, 2012. 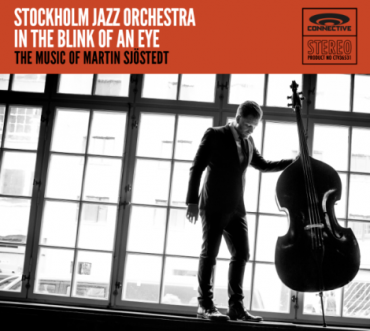 Connective Records proudly presents a masterful achievement by one of the most talented musicians in Sweden – Martin Sjöstedt – well known to the public as one of the most in demand bass players in Europe. In the Blink of an Eye is his premiere as a composer and arranger for Big Band under his own name. Stockholm Jazz Orchestra is one of the leading contemporary big bands today. Jim McNeely, grammy award-winning pianist and composer writes in his liner-notes “With this CD, Martin reveals the scope of his abilities as composer and arranger for big band, and they are impressive. It’s very satisfying to see someone whom I remember as the new, young guy, develop into a major voice as a composer/arranger for big band”. 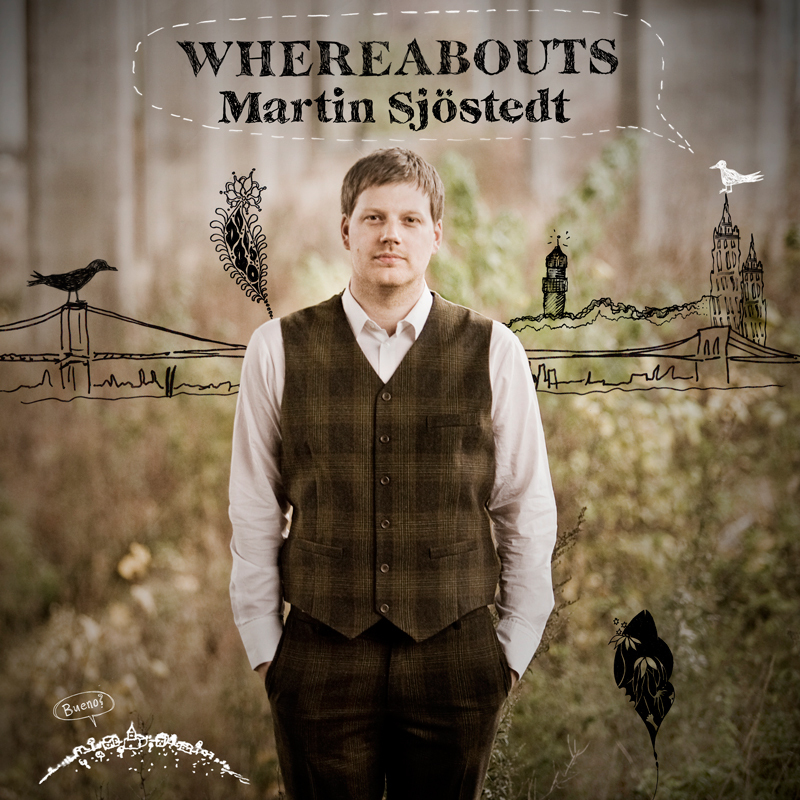 Martin Sjöstedt and Karl-Martin Almqvist releases a soulful album with a new band including drummer Kesivan Naidoo from South Africa. The record is called Good to Be and contains groovy, feel-good music with spectaluar improvisations on top. Thanx for visiting and stay connective! 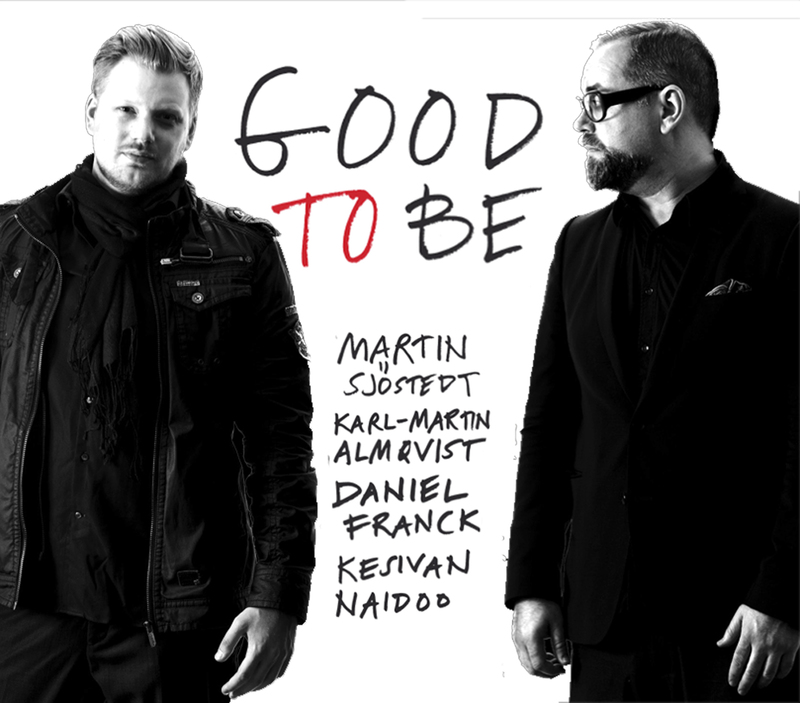 Following two weeks of successful promotional touring in South Africa, which culminated in three consecutive sold out evenings at the Mahogany Room in Cape Town, the album Good To Be will now be released in Sweden. The group, bearing the same name as the album, is co-lead by saxophonist Karl-Martin Almqvist and pianist Martin Sjöstedt. Featured on drums is Kesivan Naidoo who is one of South Africa’s most renown and influential musicians of the young generation. When Kesivans South African and Indian influences meet the raw force of Danish bass player Daniel Franck, the foundation for the groove based compositions by Almqvist and Sjöstedt is laid down in the best possible way. 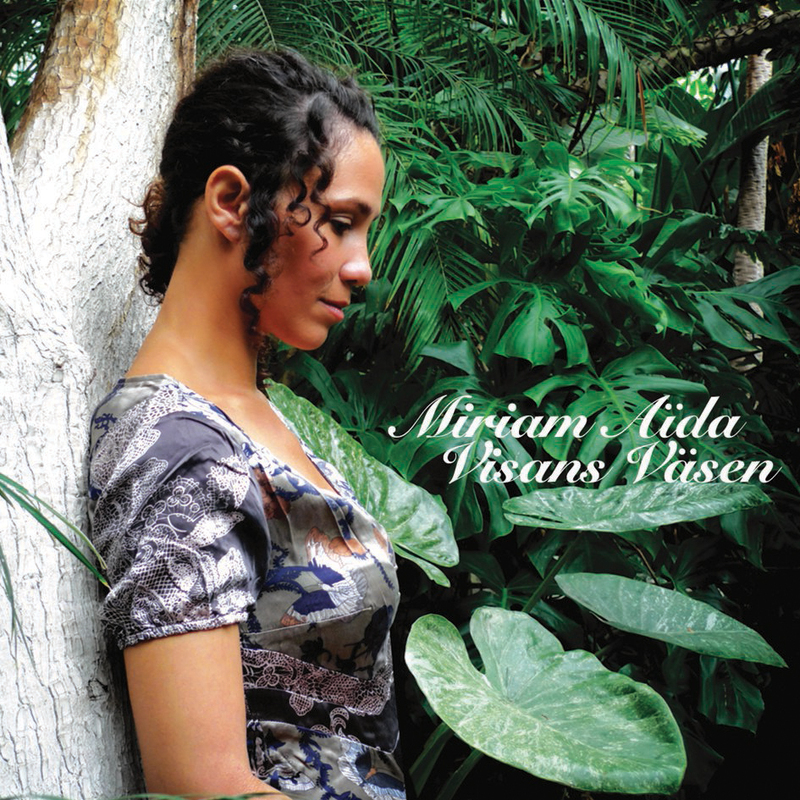 Swedish singer Miriam Aïda blends the traditional Brazilian music with the great songs by Swedish songwriters as Olle Adolphson, Cornelis Vreeswijk, Fred Åkerström and others. Sung in swedish and arranged by Miriam Aïda tRIO. “From the ever flowing music of Fredrik’s colourful imagination this powerful group delivers fast burn-out swing, organic fusion, oriental moods, soulful elements, blues and freer stuff in a rare sextet format. 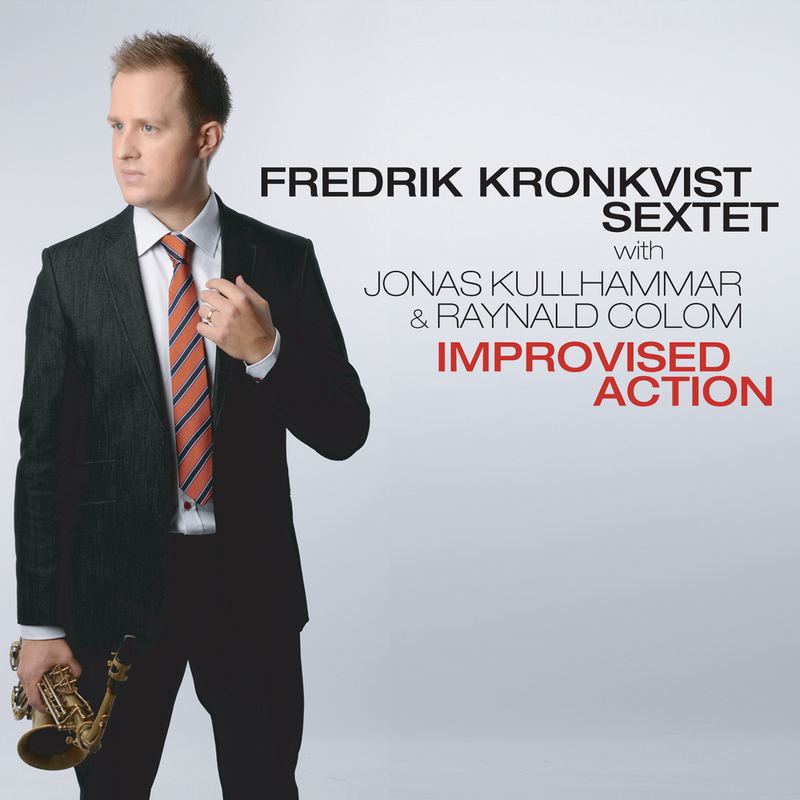 Fredrik Kronkvist Sextet is an international constellation with some of Europe’s finest jazz musicians from Malmö, Stockholm, Berlin, Copenhagen and Barcelona. Sweden´s A Bossa Elétrica delivers an electro – organic set of originals on the new album ”A Bossa Eletrica do Norte”. Using a fullrange palette of sounds – acoustic guitar, lots of percussion, strings and hornsection alongside warm keyboards and other electric elements – they create a deep groove with a blend of samba, afrobeat and jazz. The vibrant 7-piece band A Bossa Eletrica plays a heady interpretation of Brazilian music.With a funky rhythm section and singer Miriam Aida and multi-reed-man Fredrik Kronkvist upfront the music is jazzy and sometimes complex, but always with a steady groove for the feet! For this album lyrics in portuguese is written by brazilian poets Etel Frota, Guilem Rodrigues da Silva and Swedish percussionist Sebastian Notini. A Bossa Electrica’s debut EP was released 2002 followed by the full-length album ”ELETRIFICACÃO” 2004, released on Raw Fusion Records along with some 12 inches with remixes released all over the world. The new album ”A Bossa Eletrica do Norte” is released fall 2010. Carl Winther Trio, introduces one of the most talented young pianist ever to emerge from the Scandinavian Jazz scene. 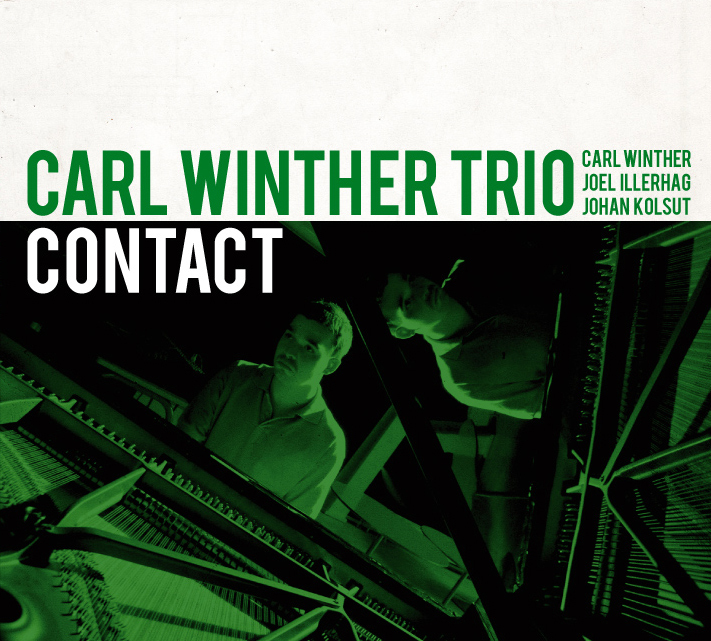 Up-and-Coming, 25-year-old Carl Winther and his trio has cut their teeth on jamsessions and concerts in Copenhagen and the result is a rare communication in the group that displays fresh, happening, swinging jazz in its most exciting way. With a dazzling technique and a beautiful touch they handle an impressing palette of emotional moods. Burnout-jazz, Ballads, Funk Beats and Nordic moods combined with tempo shifts, steady basslines and contemporary jazz drumming, brings this CD to life with a music that is as unpredictable and magic as life. Fredrik Kronkvist continues to explore and expand his communicative style of powerful compositions. Complex rhythmic and harmonic layers are mixed with primitive and earthbound elements. This is the 4th album with Fredrik´s quartet wich is presented here with some excellent musical quality from a group with Swedish, Danish and Norwegian musicians. 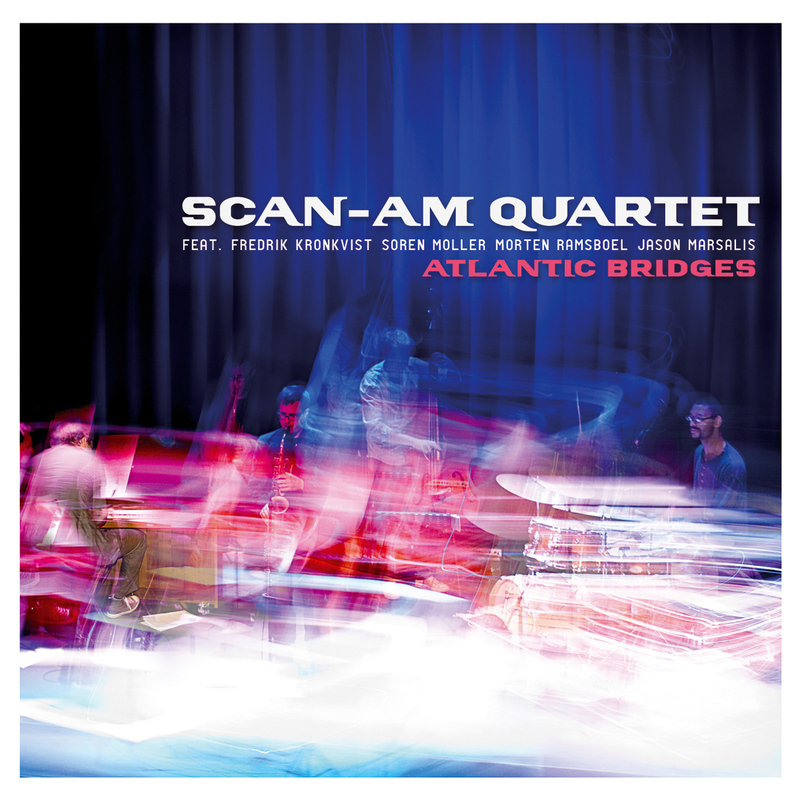 Scan-Am Quartet feat Fredrik Kronkvist, Soren Moller, Morten Ramsboel, Jason Marsalis. A collaboration with Scandinavian and American musicians and composerswhich gives us a deeply personal varied repertoire with the cool Jason Marsalis on drums. Jason Marsalis is one of the drummers who defined the modern American drumming in the 90s and comes from the famous Marsalis familywhere the brothers Wynton and Branford are some of the jazz world’s most prominent names today. Per-Oscar Nilsson feat. Marcus Strickland & Fredrik Kronkvist – NOW! 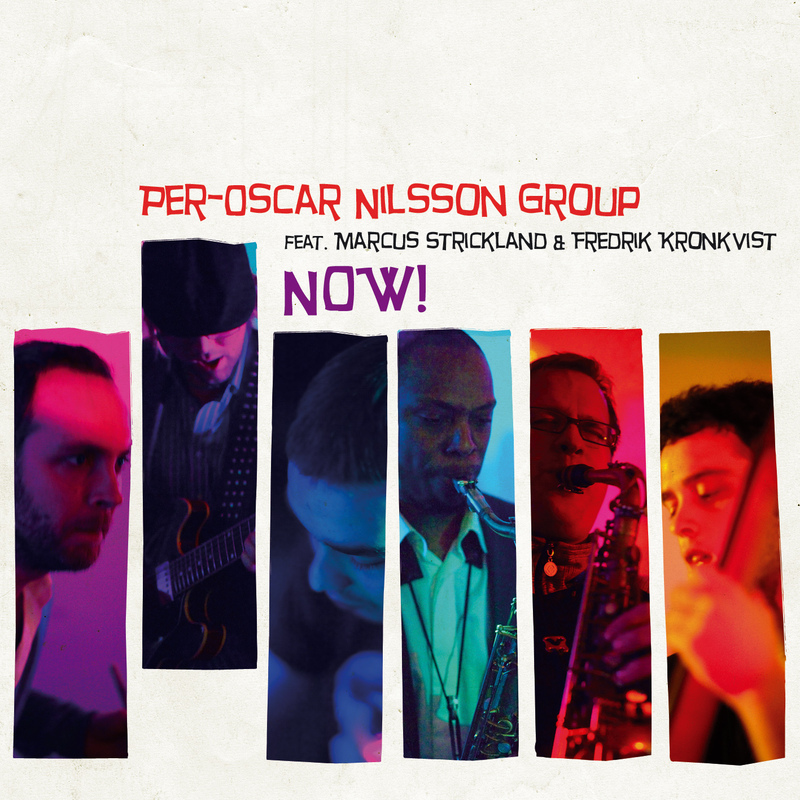 Debut album with original music by guitarist Per-Oscar Nilsson whose powerful sound and feel for intricate harmonies is on display in his cinematic compositions. Saxophonists Fredrik Kronkvist and Marcus Strickland are in the front line and Danish Carl Winther at the piano. Marcus Strickland from New York, counts as one of the most exciting new voices on today’s jazz scene and he was selected for “Best New Artist 06 ” by Jazz Times and also “Rising Star 08 “by Down Beat. Known as Swedens most in demand bass-player with two albums in the trunk as a leader is now releasing his first album as a pianist in his own name. Martin’s original compositions all have a special musical history taken from tours around the world. With him he has a top band with some really great people and one of Germany’s finest trumpet player Axel Schlosser.